Bottom line first. After spending a complete day riding Ducati’s radical new 1199 Panigale around the sun-drenched 5.50km Yas Marina Formula 1 circuit in Abu Dhabi – the venue for the world press launch, and a sort of modern Arabian version of the Monaco GP track, lined by six-star hotels and glitzy high-rises, as well as guard rails and concrete walls protected for us by airfence – it’s hard not to conclude the Italian manufacturer hasn’t only reinvented the twin-cylinder motorcycle by endowing it with technology worthy of a MotoGP bike, it’s also gone and shot everything else in the sportbike marketplace clean out of the water. 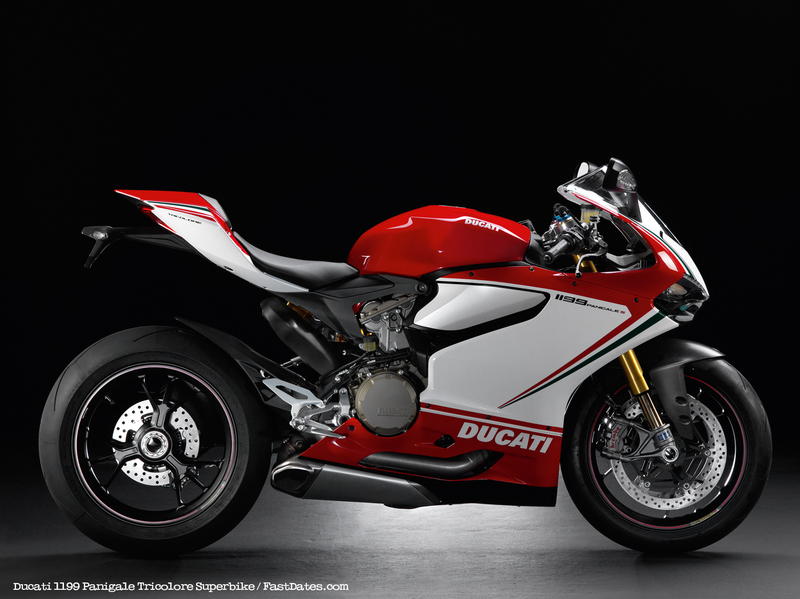 This is the new benchmark for the Superbike category. Forza Italia! 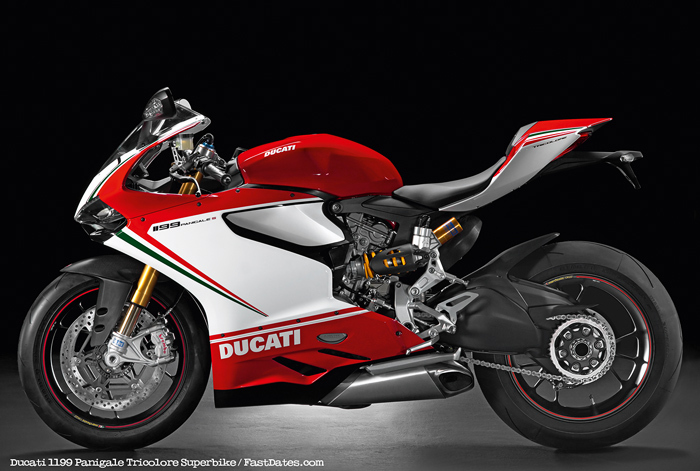 As soon as you throw a leg over the Panigale, you realize how different it is from all Ducati V-twin Superbikes built over the past 25 years, since the first 851 desmoquattro was concocted back in 1977. It’s small, but spacious – a contradiction in terms whose less stretched-out, more snug riding position has you sitting 30mm further forward than before, albeit with a 5mm taller height for a seat whose being narrower at the front makes it accessible for shorter riders, but with 10mm higher and 16mm wider handlebars, and well-placed footrests which aren’t too high or set too far back, yet deliver all the ground clearance you can use. The result of all this is that the new Ducati feels lower and more compact, even comfortable, with less weight on your arms and shoulders which makes it less tiring to ride hard – though the tiny screen isn’t very aerodynamic, and you must be prepared for your head and shoulders to be buffeted around at the very high speeds this bright red rocketship is capable of. But a key element in that user-friendliness is the single greatest handling advantage of the new bike, the fact that it’s a massive 10kg lighter than its old-style 1198 predecessor, according to Ducati, with the centre of gravity lower down, too. This means it’s much less physical to change direction with than the old one, so attacking Yas Marina’s succession of chicanes and twisting turns was a lot easier, aided by the extremely precise steering – get the electronics dialled in right, of which more later, and it’s pinpoint accurate even at high speeds. 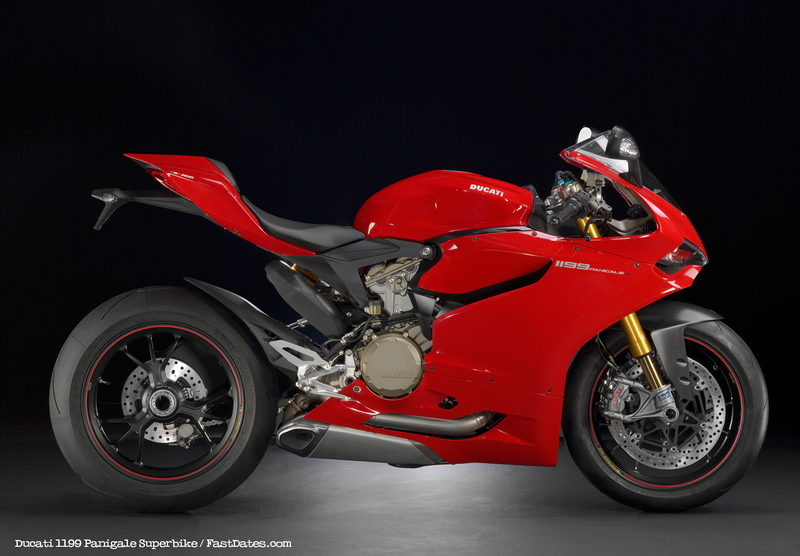 Yet it steers so sweetly in spite of the fat 200/55-17 Pirelli Diablo Supercorsa SP rear tyre, which gives a welcome larger contact patch to lay the 25bhp extra horsepower which Ducati says the Panigale produces compared to last year’s bike – and I believe them – to the ground. On other bikes I’ve ridden with this big a rear tyre fitted, it heavies up the steering quite noticeably, but not on the Panigale. You can keep up turn speed better not just because the front Pirelli seems glued to the tarmac, giving a great sense of confidence, but also because you can just flick the new Ducati weighing an impressive 164kg dry from side to side, rather than having to heave it around like you did before. 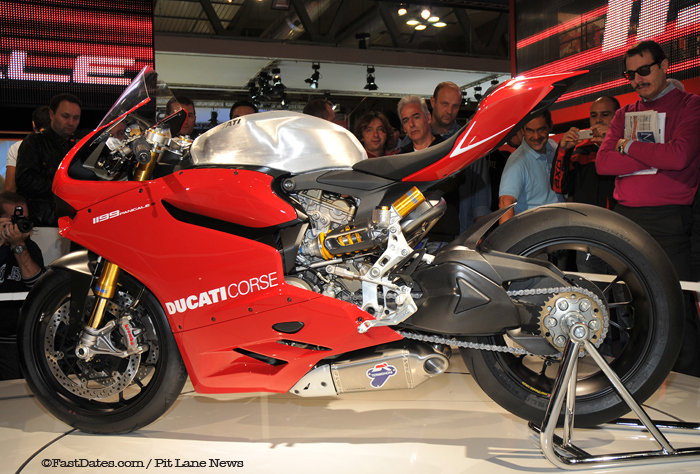 And no – doing so didn’t betray any of the vague front end feeling or wheel chatter that Ducati’s MotoGP star, a certain Rossi V., complained about last season with his Desmosedici 800 equipped with the same monocoque chassis as the company’s new Superbike. 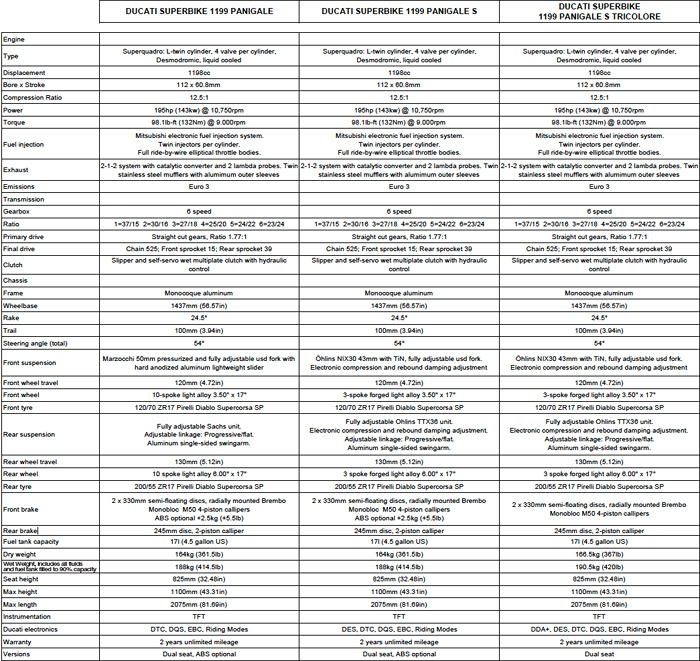 But that was probably because of the hyper-stiff Bridgestone MotoGP control tyres Rossi has to run, whereas on the Panigale there’s good feedback from the front World Superbike-developed Pirelli, especially if you trailbrake into a turn. 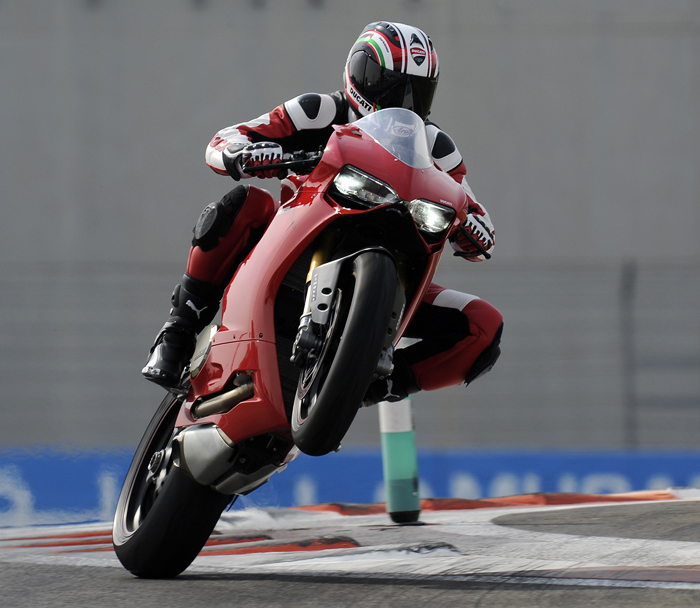 Finish your braking early so there’s less weight transfer onto the tyre, and you don’t get quite the same sense of communication you had on the old bike – so brake later, harder, deeper, and you’ll get the feeling you’re looking for, as well as noticing how well the Panigale holds a tight line in turns. 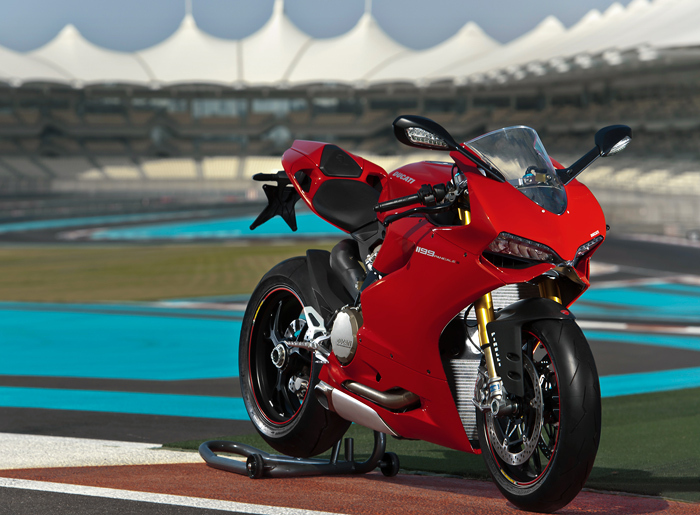 The default suspension settings Ducati had dialed in for the Yas Marina track were a little on the stiff side for such a smooth F1-friendly surface – the bike will respond well to customers having the patience to find a softer, slightly more compliant setting for the electronically-adjusted damping on the Öhlins suspension fitted to the 1199S test bikes we were riding, which were also fitted with ABS, and the ultra lightweight Marchesini forged aluminium wheels that also played a part in lightening the handling from side to side. That lighter weight is a crucial factor in endowing the Panigale with truly eye-popping acceleration for any bike, not by just twin-cylinder standards, thanks to the deeply impressive performance of the radically engineered ultra short-stroke Superquadro engine, as well as the huge range of World Superbike and MotoGP-developed electronic rider aids included as standard on the bike. However, these need to be carefully tailored to suit each person’s riding tastes and experience – so, for example, the EBC/Engine Brake Control programme on its default Level 3 setting initially had me, and the relatively few other journalists at the launch used to riding big twins hard, missing the entry apexes of turns as the engine pushed you on past them, thanks to engine braking being reduced. Switching it to the minimum Level 1 fixed that – but also meant there was still no risk of chattering the rear wheel on the overrun, especially with help from the effective Ducati slipper clutch. That’s just one example, but there are lots more in a high-tech piece of hardware that’s just bristling with mechanical innovation, and leading edge software technology which you do however need to take time to tailor to your own needs. But it’s that amazing engine that’s the undoubted star of the show. Thumb the starter button and be prepared to listen to a New World Symphony of desmodromic music, higher-pitched and less gruff than before, thanks to its 112 x 60.8 mm engine dimensions, compared to the outgoing 170bhp 1198’s 106 x 67.9 mm format. This produces an appetite for revs that’s frankly addictive, as well as an impressive 195 bhp at 10,750 rpm - delivered complete with an air filter and twin-catalyst exhaust, that’s just 4bhp less than Carlos Checa’s 2011 World Superbike title-winning 1198! I was let loose on that World champion motorcycle for 15 laps of Misano last summer, and with hand on heart the Panigale 1199S I was allowed fifteen minutes of desmo delight riding at Yas Marina, fitted with the Ducati Performance trackday Termignoni exhaust and Pirelli Supercorsa SC2 race tyres, was literally indistinguishable in performance from Carlos’s chariot. A true racer with lights, then, with the same perfectly mapped RBW system, giving comparably crisp but controllable pickup from a closed throttle, as the reigning World Superbike champion, and the same deeply impressive top speed. 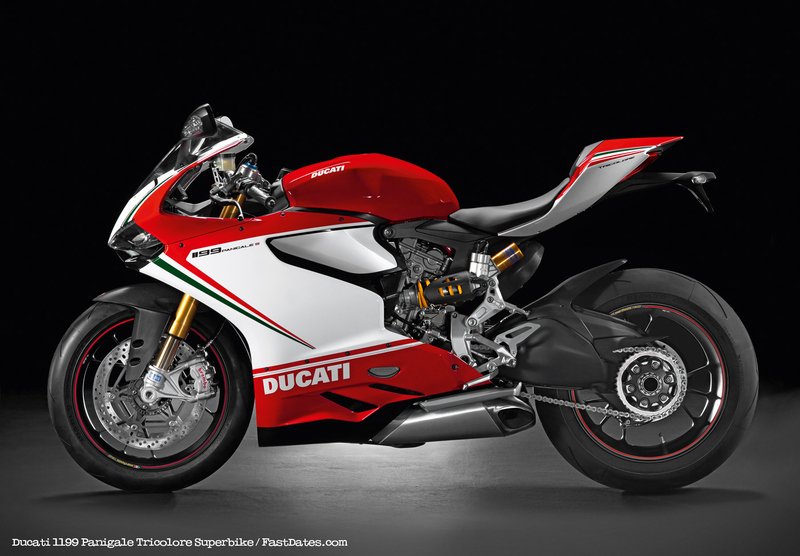 But although the Panigale’s torque peak is the same 132Nm as the older long-stroke model, delivered 1,000 revs higher at nine grand, there’s no disguising that there isn’t the same big hit of muscular grunt at low to medium revs like before – no hyper-aggressive waves of torque which’ll have the front wheel pawing the air, like on the 1198SP, the ultimate expression of Ducati’s desmoquattro title-winning twin-cylinder technology with belt-driven dohc. 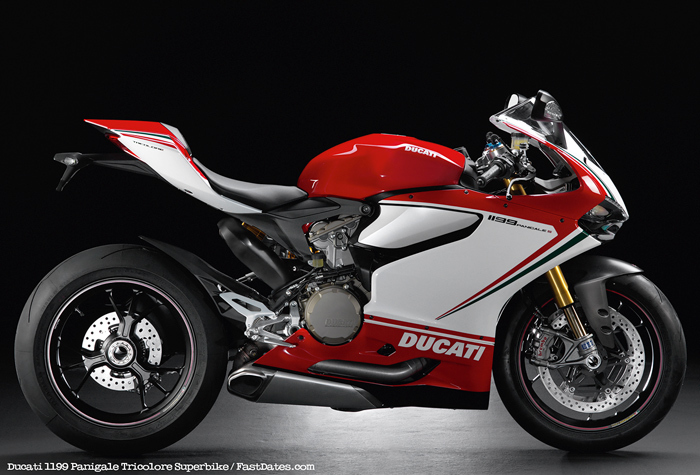 Instead, getting the best from the Panigale requires a more precise riding style than with any other Ducati Superbike built so far, which until now was basically happy to work with any gear you chose to throw at it, within reason. The new bike has adequate rather than forceful acceleration from low down, then from 5,000rpm upwards it starts to take off, and above 7,500rpm performance is deeply impressive by any standards, not ‘just’ those of a twin – it’s not explosive, but it is irresistible. 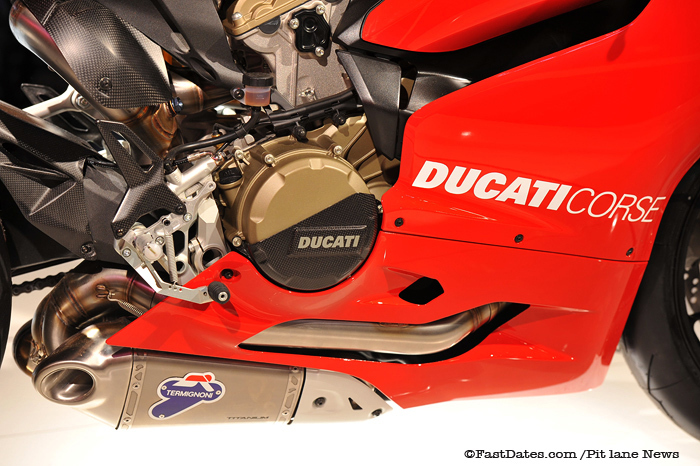 Previously, riding a Ducati in something approaching anger meant you had to force yourself to use a gear higher than you might otherwise have done, simply to ride the torque curve which was the V-twin desmo’s key asset, often shifting to a higher gear when the engine seemed to tell you it wanted to, rather than when the shifter lights did. Here, the Superquadro motor asks you to rev it right out in the gears via the sweet-action powershifter fitted as standard, to the point where the bright red surround to the infinitely more legible dash than the previous hard-to-read Digitek item starts flashing at 10,500rpm, staying fully lit from 11,000 revs to warn you of the arrival of the soft-action limiter at 11,500rpm. And you also have the option with the extra spread of revs to hold a gear and flirt with the limiter between two bends, simply to save a pair of gearshifts. Still, this is the first volume production Ducati model with a full ride by wire throttle, even if the factory Superbikes have had it for the past three years, as a useful testbed for dialing it in right on the Panigale, and the three different riding modes, Race, Sport and Rain are each configured to incorporate pre-programmed (but adjustable) settings for the several other electronic rider aids interacting with each other. Mapping this motorcycle’s many such programmes was not the work of an instant, and Panigale punters will need lots of time and plenty of experimentation to shake up the right cocktail of electronic settings to help them to get the most out of the bike’s potential, which is truly enormous. 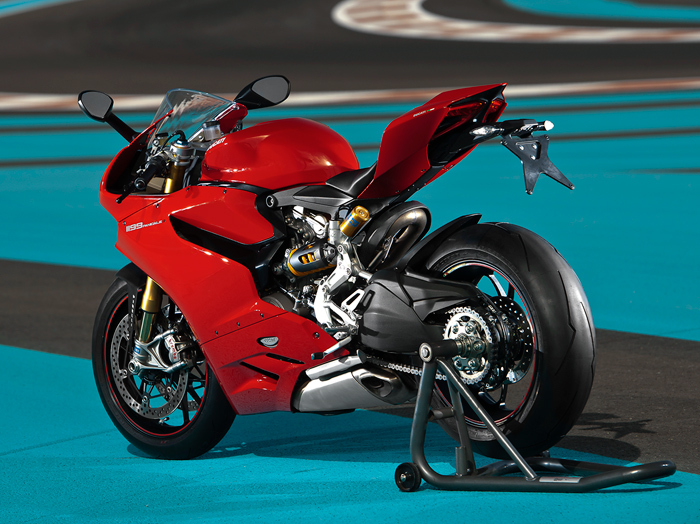 But the consequence of such digital and mechanical sophistication, worthy of a twin-cylinder MotoGP bike but available from your friendly local Ducati dealer, is literally awe-inspiring performance which is nevertheless accessible, and largely intuitive. Again, it’s addictive how fast the bike is, albeit delivered with such a sense of control – you’re in charge, ultimately, not any or all of the multiple ECUs on the bike (Ducati boss Claudio Domenicali, the man who deserves credit for conceiving and directing the creation of this new page in the Ducati Superbike history book, counted to six in all!) 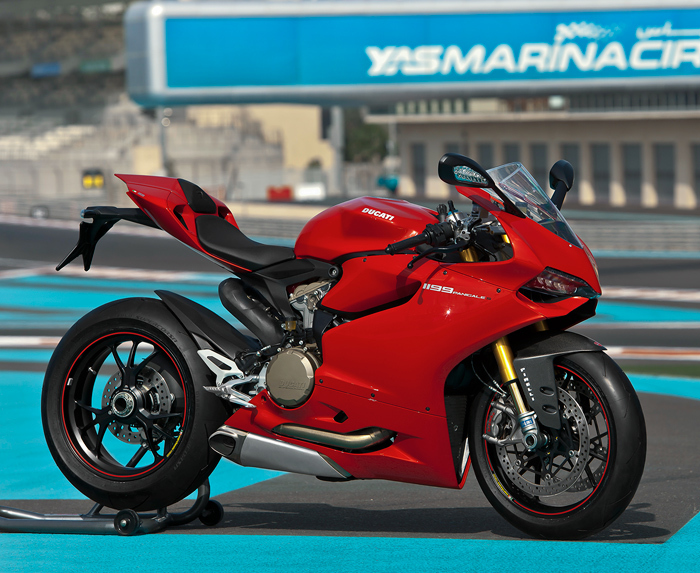 And it’s really, really fast – I saw 283kph down the long Yas Marina main straight, before chickening out at the 200-metre mark to brake for the second-gear chicane at the end – and the lighter weight and peerless Brembo radial brake package means the Panigale stops HARD, without any hint of sitting up and understeering when you lean on the brakes, instead allowing you to trail-brake into the apex of a turn while revelling in the extra feedback from the front tyre which that weight transfer is giving you. The slipper clutch means you can just click down through the gears to where you want to be under heavy braking, but the exhaust note sound so good it’s hard to avoid just blipping the throttle as you do so every now and then! But while raving about this street version of the Superbike he’s helping develop for the 2013 season, triple World Superbike champion Troy Bayliss doesn’t reckon the new dash is up to much. “You get to 300kph, and it stops registering!” he complained. 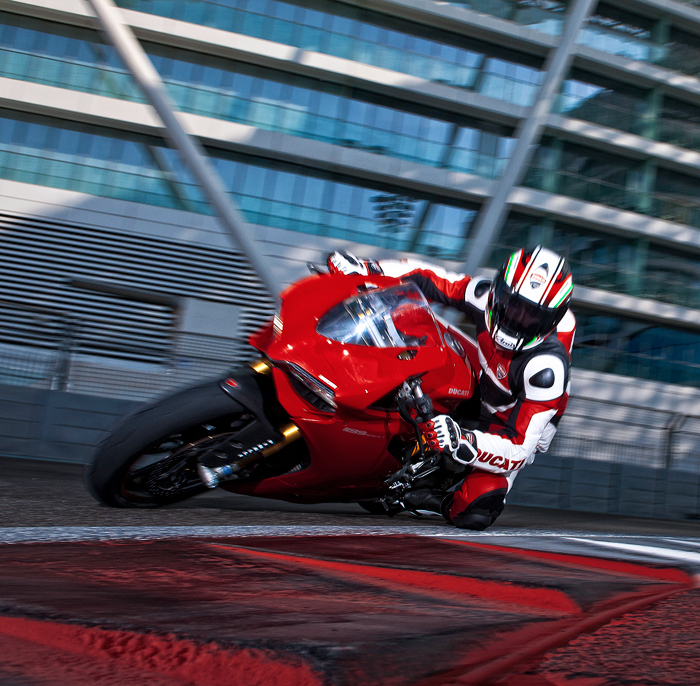 Paying Panigale punters will relish taking up the Bayliss challenge, to experience the same ‘problem’ – but once you learn to trust the ABS, you will find yourself braking harder and later – and from a higher top speed! - than you ever thought possible on a volume production streetbike, yet with a sense of empowerment verging on the other-worldly. 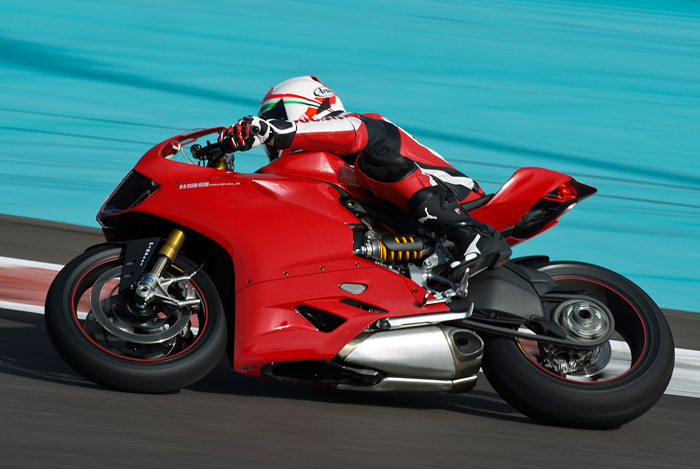 Trusting the Panigale to let you do things that you’d normally only dream of doing on a factory Superbike racer is a mark of just how high Ducati has set the bar with this motorcycle. It’s not just Extreme in so much of its technology, but also in the level it’ll allow you to progress to, in terms of your own skill levels as a rider. Indeed, in the high stakes game of chess which nine different manufacturers are currently playing, to outmatch each other in producing the fastest, the sexiest looking and simply the best high performance motorcycle money can buy, Ducati has produced a game-changer in the Panigale, by taking sportbike technology and performance to a new level of sophistication, irrespective of the number of cylinders. Checkmate? !